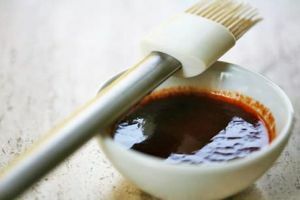 Siu haau sauce is the primary barbecue sauce used in Chinese and Cantonese cuisine. It is used during the barbecue-cooking process as opposed to a flavoring sauce after the food is made. Siu haau sauce is not used for siu mei rotisserie style cooking; dishes such as char siu each have their own sauce.